And now for another installment of Ready Artwork’s Web Wednesday! Today, we will discuss Web Safe Fonts. In the early days of the Internet, there was only a fairly limited selection of fonts that were compatible with most web browsers. 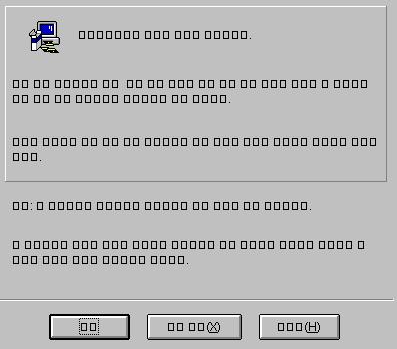 And even though all personal computers came with a set of fonts that were installed by the manufacturer, there wasn’t a standard set of fonts for every computer. In an attempt to escape this dilemma, in 1996, Microsoft released the Core Fonts for the Web initiative with a set of fonts for their computers, which quickly became the norm for most computer brands. 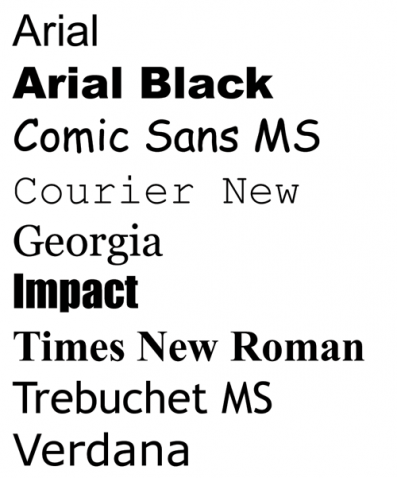 This standard set of fonts makes it much easier to choose a font for your website. However, if a web browser still doesn’t recognize a particular font, it will automatically revert to a generic fallback, even if that means the font is unreadable. As you can see, if you’re building a website for your company, web safe fonts may be the difference between a high bounce rate (incredibly short visits) and making a new customer. Luckily, web technology has come a long way and web safe fonts are not quite the nuisance they used to be because we can now use a much wider variety of fonts thanks to the magic of CSS3, and one of its upcoming features, @font-face. This feature allows users to load your font. 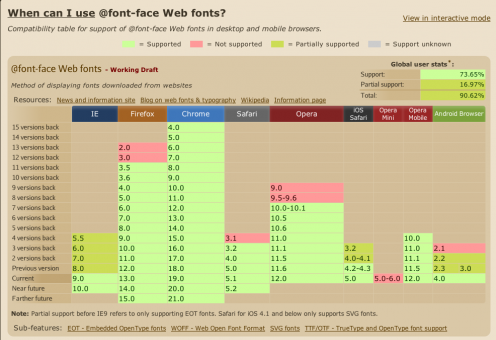 Most modern browsers support CSS3 font-face. The quick brown fox jumped over the sleeping dog. Take a look at this chart to find out if you are supported or are in dire need of talking to your system admin. At Ready Artwork, we can help you pick a font that will strengthen the brand of your small business and make your website more unique, interesting and user-friendly. It may seem like a small detail, but the fonts that you use throughout your website can determine how visitors experience your website and what they think of your business. If you would like to learn more about fonts and building your brand, contact us today! Read an update on Web Safe Fonts!